Michael Hupy Announces $25,000 Reward in Murder Case | Hupy and Abraham, S.C.
Attorney Michael Hupy is offering a $25,000 monetary reward to the first person who provides information leading to the arrest and conviction of the person or persons involved with the shooting of Za'layia Jenkins. The Milwaukee Police Department reports that nine-year-old Za'layia Jenkins was shot in the face from a stray bullet while she was watching TV in her home. She was legally pronounced brain dead at 5:00 pm on Monday, May 16. The shooting took place May 5 near 15th and Meinecke. Two groups were engaged in a shootout and stray bullets entered Za'layia's home. Over 40 shell castings were recovered from the scene. At a news conference on May 17, 2016, authorities announced the reward at the Third District Police Station in Milwaukee. Attorney Michael Hupy is offering a $25,000 reward to the first person who provides information leading to the arrest and conviction of the person or persons involved. In addition to Attorney Hupy's reward, the FBI has announced a reward of $15,000 for any information. As a longtime Milwaukee activist, Attorney Hupy is deeply involved with the community. This is the third reward Attorney is Hupy is offering in the past year, where children have been shot in their own homes by bullets flying through the wall. Attorney Hupy has offered rewards in the past to stop violence in the area, including a $25,000 reward toward the incident in which 5-year-old Layla Peterson was shot and killed while sitting on her grandfather's lap inside her home and when 10-year-old Alfredo Bautista was shot and injured. 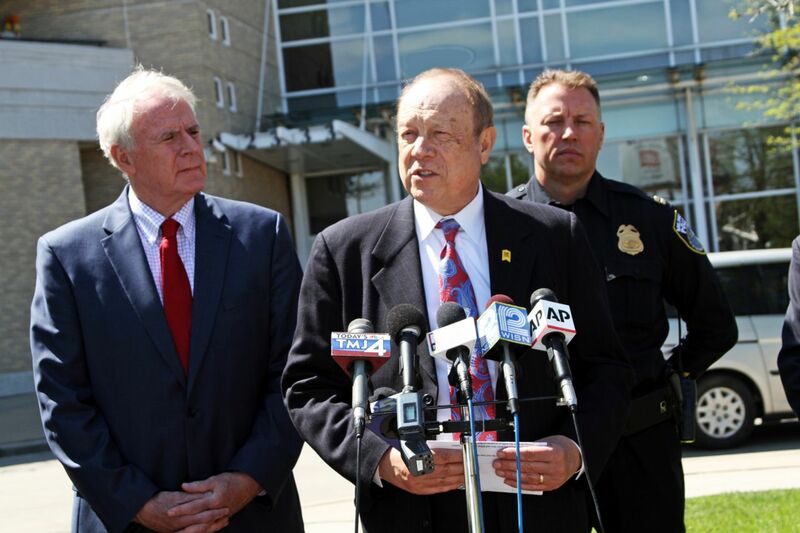 "We cannot tolerate a society where small children are murdered, when gangs are engaged in a shootout, where bullets are sure to endanger innocent people in their homes and on the streets," Attorney Hupy said at the news conference. "Therefore I am offering a $25,000 reward to the first person who provides authorities with information leading to the arrest and conviction of a person involved in the crime that resulted in the killing of Za'layia Jenkins." Authorities continue to investigate the shooting and are working to identify suspects. Anyone with information regarding this incident can call 414.935.7360.